Warner Bros. has been great about publishing the many LEGO video games on iOS, whether that be in a pared down version of the PC and console counterparts or in a more tailored for mobile/handheld fashion. Today they’re continuing this trend but taking it up a notch, as today is the day that LEGO Star Wars: The Force Awakens (Free) is scheduled to arrive on PC and consoles, but an iOS version has launched right alongside it day and date. 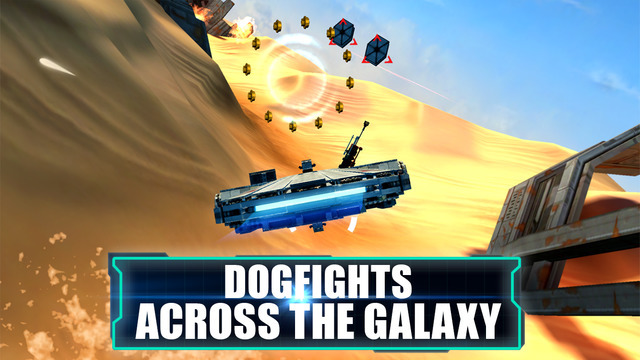 While this is a case of the game not quite being the same open-world version as its bigger console and PC counterpart, the iOS version does feature the new Multi-Build mechanic that lets you build a variety of items from those piles of LEGO you’ll find, enhanced flight sequences, and cover-based Blaster Battles. You’ll also get to play through story missions that flesh out the main storyline of The Force Awakens film. LEGO Star Wars: The Force Awakens is free to download and try out the first level, assuming you have a gig or so of free space available, with new content available through separate in-app purchases or a Season Pass, and it sounds like there’s plans to keep new content rolling out for quite some time. Check it out and be sure to stop by the game’s forum thread with your own impressions.